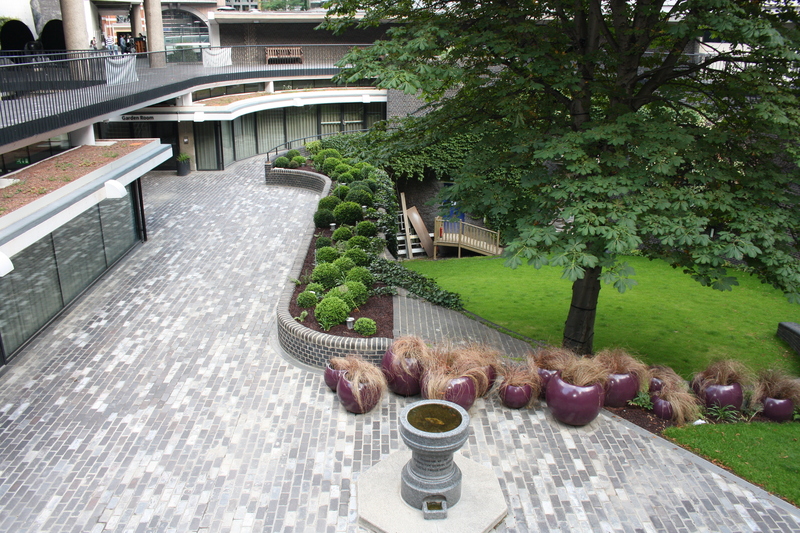 This is the newly-created garden inside the bastion of the Museum of London. It has a brand new green roof, lots of terracotta pots and a door allegedly leading to somewhere deeply mysterious. It is also the point where the A1 starts its journey north.